In the dark of night, when the house is still, what fears creep into your heart? For Conor O’Malley, his nightmares take the shape of a very old and very dangerous monster who visits him every night at seven minutes past midnight. He’s half-convinced that these must be dreams of his fevered mind. But how can they be, when the visits are so vivid and when he finds physical evidence of the monster’s existence the next day? Conor’s nightmares begin shortly after his mother began her treatments for cancer. He’s also dealing with a father who lives far away and is engrossed with his new family, a brisk and determined grandma who doesn’t understand him, and schoolmates who don’t seem to see him anymore. As readers learn more and more about Conor’s story and the terrible monster who comes to visit, it is impossible not to feel worry and fear and sadness for this boy, whose must shoulder problems that have toppled many adults before him. But even in his pain, Conor’s defiant spirit shows flashes of dry humor and painful hopefulness that are difficult to witness, but make him impossibly endearing. 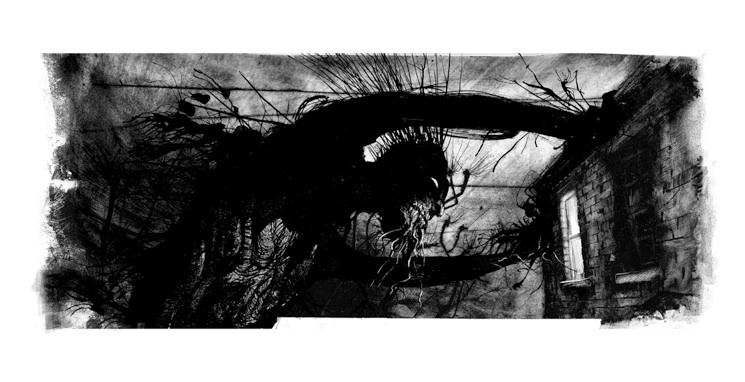 A Monster Calls is a middle grade children’s book, but it’s a children’s book in the way that Shel Silverstein or Roald Dahl wrote children’s books–that is, the surface stories are certainly well-written and compelling, but underneath that are the themes of confusion and loneliness and sadness that elevate them to timeless works of literature. 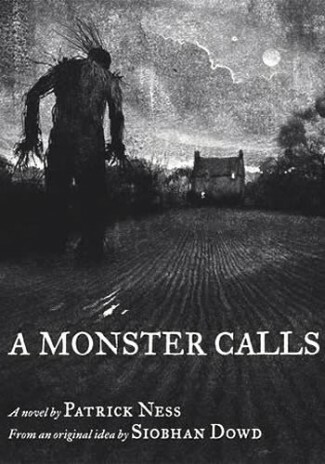 And while A Monster Calls chooses to confront its demons more literally than some other books may, it does so with such fierce intelligence and ease that it never feels didactic or forced. This an incredible book about the enormous burdens of responsibility and grief and loss. I read most of it with anxiety in my heart and as the story intensified, the ache in my throat got bigger and bigger. By the time I reached the end, hot tears were dripping onto the last two pages, and continued to fall as I immediately read those pages again, and as I read them yet again. But more than anything else, I felt a great deal of love as I was reading this. Love for Conor, love for his mum, love for his grandma, and love for everyone who has ever experienced a profound loss. This is such a beautiful book, such an important book, and one that I think so many children and so many adults will appreciate. I cannot imagine that there will be another children’s book written this year that will provide such a moving and emotionally truthful experience, or one that will so easily become an instant classic. In just 215 pages, A Monster Calls shatters your heart and then wraps it up tightly again so that you can go and be present in the world as a wiser, more loving human being. The words themselves are powerful and full of terrible beauty and latent emotion. But if you’re able, do try to get your hands on a copy of the hardcover, which is illustrated with wildly expressive artistry that captures exactly the right feel for the book. I’ve included some of the images here in this review, but if you’d like to see more illustrations from the book, please visit Jim Kay’s website to learn more about the process the artist used. The story behind this book makes it even more poignant. Siobhan Dowd, the award-winning author of numerous children’s books, conceived this idea and the characters and the beginning–but died of breast cancer at the age of 47 before she could write the novel. Patrick Ness was asked to write the book based on this idea–and he succeeded in achieving a work of fiction that both transcends its genre and painfully wrenches your heart. This is an older post, but I’m supposed to comment on a non-giveaway post, so I started scrolling through the ‘comtemporary’ tagged posts. This book was awesome. I was literally weeping at the end. It has stayed with me for this whole time, and honestly, I don’t really know anyone close to me who has died from cancer. But that moment, when you realize that the monster is there to comfort him, and bring peace, wow. It was powerful. I LITERALLY don’t understand it when people think this story is dumb/weird/boring/ or are unmoved. I’m like, do you even have a heart, buddy?? I’m glad you loved it too, Embellisher! And thanks so much, Anachronist. I can’t take credit for the design, but I try to keep the contents pretty, too. ;) Hope you give the book a try sometime, it’s a truly special story. Firstly I love the design of your blog – trully original! Secondly I loved this review and the idea behind the book – I might want to read it soon! So much love, thank you! The illustrations added so much to the text– truly a package deal! One of the best books that I have read in awhile. I hope you get your copy soon, Maja! I think you’ll love it. 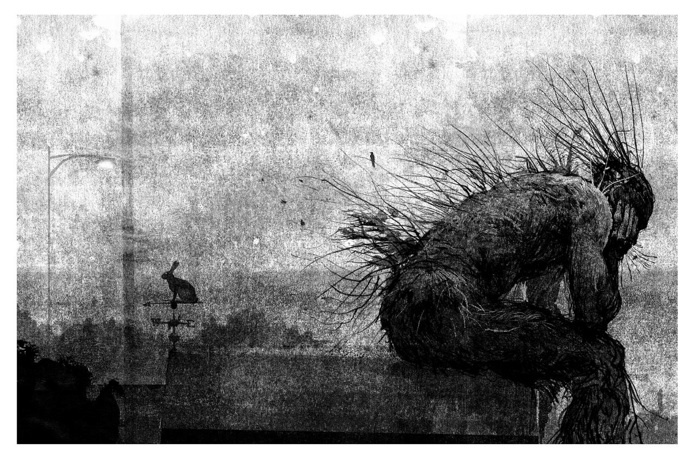 In just 215 pages, A Monster Calls shatters your heart and then wraps it up tightly again so that you can go and be present in the world as a wiser, more loving human being. Thanks for your comment, Amy! I hope you’ll get a chance to read this soon. It’s an amazing book. I have been waiting and waiting for someone to review this book, and I am so glad it was you. I am already a big fan of Patrick Ness and his Chaos Walking trilogy, so I cannot wait to get my hands on a copy of this one.